This year, I’ve decided to be more serious about being more active. It’s a new year’s goal I typically make for myself each year, but as I’m sure most of you can relate to, I keep the habit up for a week or 2, but then deadlines and other distractions come into play and my goal dies off. While I’ve been keeping up with my plan pretty well so far, Mr. Savvy will be working from home starting next month, though, so I am hoping that we can help keep each other accountable by going on more walks together, etc. 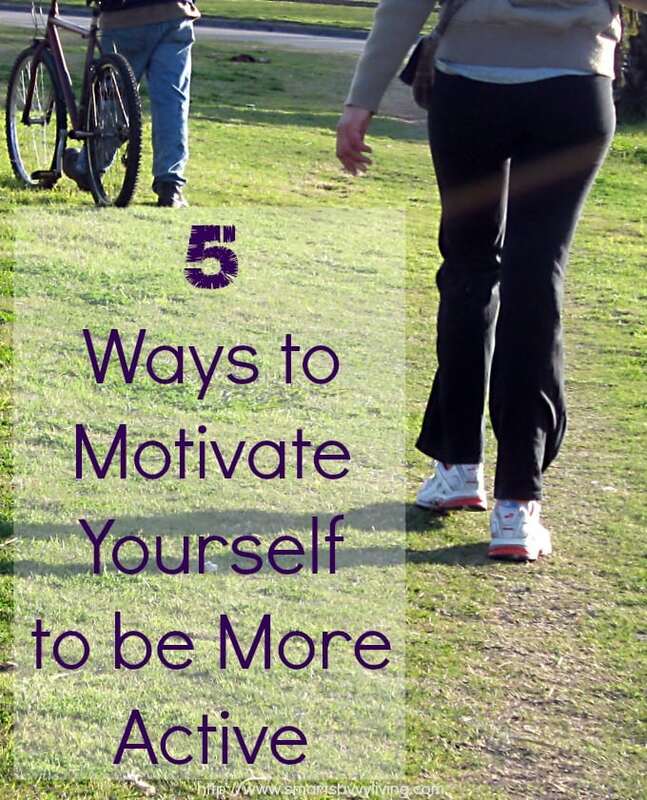 However, I have learned that it’s always a good thing to have multiple sources of motivation, so I thought I would share 5 other ways to motivate yourself to be more active. 1. Establish a main goal for why you want to be more active. What’s the main reason you want to be more active? Some ideas are to try to get healthier to be on less medications or reducing the effects of some diseases, to keep up with your kids, to feel better overall, to reduce stress, etc. The more important the reason is to you, the more likely you’ll be motivated to get up and get moving. 2. Pick activities you really do love. You know how the saying goes about how if you do something you really love it won’t feel like work? The same is definitely true for exercise! Whether it’s walking, running, Zumba, riding a bike, etc., you’ll likely never keep up with the habit if it’s not something you really love doing anyway. 3. Track your activity. Did you know that studies have shown that those that track their activity, such as how many steps they take a day, are actually likely to be more active? I use a Jawbone UP that I got last year from Best Buy most days to track my steps to make sure I am going over or at least close to 10,000 steps a day. You can find a variety of health and fitness items at Best Buy. The funny thing is, it actually really does become a bit of a game seeing the numbers go up to make sure I meet that standard! 4. Make small obtainable goals. One downfall of any goal making is that we all tend to dream big and make a huge goal for ourselves. Dreaming big is great, but it’s natural to want to give up if we don’t make that huge goal. And, let’s be honest; meeting that huge goal can often be impossible due to all the things that life throws at us. Instead, I’m a big fan of making small obtainable goals that I can achieve, celebrate and feel accomplished with. Some goals I started with were making sure I was up and moving at least 15 minutes a day or that I increased my footsteps by 100 a day. What are some ways you motivate yourself to be more active? « Are the 3 P’s from Your Pets Ruining Your Carpet? I try to motivate myself to be more active just to feel better. I definitely have more energy when I am in a workout routine so I try to focus on that. 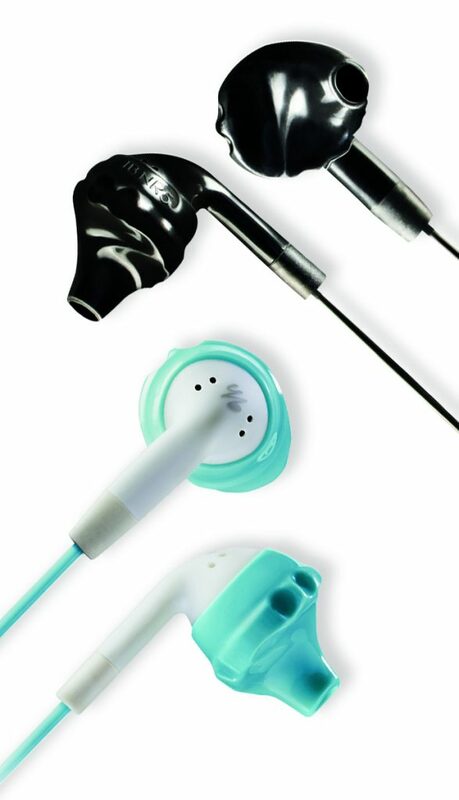 Even beyond fitness, I can see the value in earbuds like that. For instance on the plane I am forever moving, turning, adjusting, reaching for something and I knock my darn ear buds out all the time! Great tips. Now I need to put them to use! These earbuds look fantastic. I love listening to music while working out. I really need to get motivated to be more active! Thanks for these tips! I’m really digging the wireless headset! I just love the Yurbuds! I have to have music to get me motivated but I am so not coordinated and I always get tangled in the cords of my headphones or get them caught on things. Seeing the results! If I were to quit then the love handles, mama pooch and everything else would come back, that I worked so so hard to get rid of. I could definitely use a pair of these as I just joined the gym, they look fantastic. Small goals plus some great music is usually all I need to get moving. Great tips! I’m trying to talk my husband into buying me the wireless YurBuds. They would be so much easier to run with at the gym. I need to work on the picking activities I love part. I know there are some that I love to do so I should work on those for now! Great tips. Staying motivated is not easy, but with simple tips anyone can stay active. Music feeds my soul, and my soul feeds my motivation. Thanks for the great tips. I really need to get myself on a regular excercise routine.